This vintage Letterman jacket features a full front zipper, terry velour accents on the waistband, sleeves, and collar. 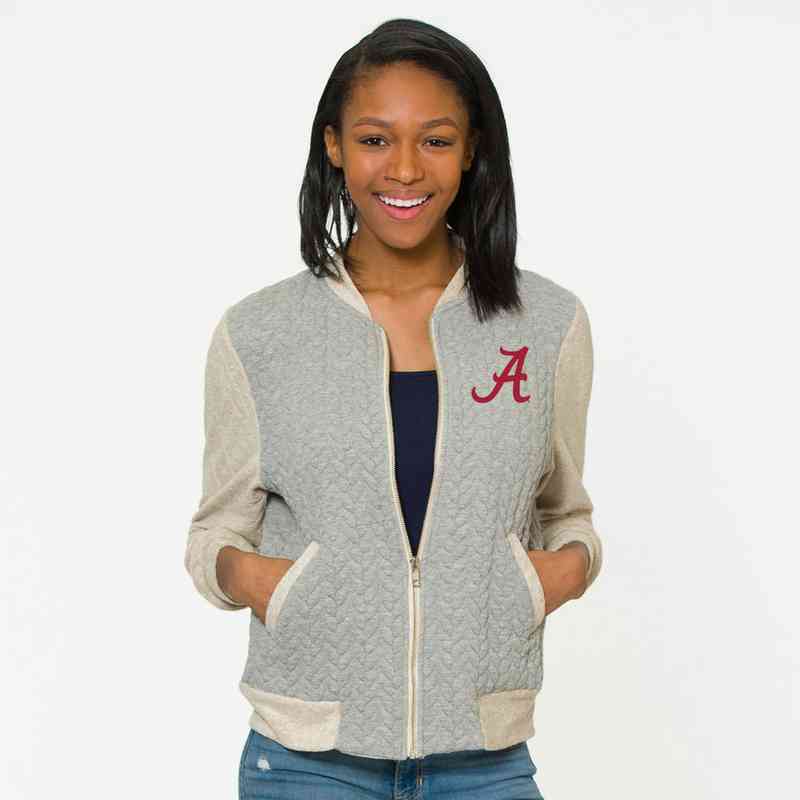 The quilted herringbone pattern is functional and stylish, lightweight yet warm. 85% Poly, 12% Cotton, 3% Spandex, Made in the USA . Manufacturer direct from a trusted supplier..